Preheat oven to 325F degrees. Line a large baking sheet with parchment paper and put aside. In a bowl, mix together your oats, pumpkin seeds, quinoa, cinnamon, pumpkin pie spice, and salt .In a separate bowl, mix the egg whites, pumpkin puree, agave, Stevia , and vanilla until smooth. Pour this over your dry ingredients and mix well until all ingredients are covered. Spread the granola onto your baking sheet and bake for about 40-45 minutes. Be sure to check and shift granola every 10 minutes or so to prevent any burning. 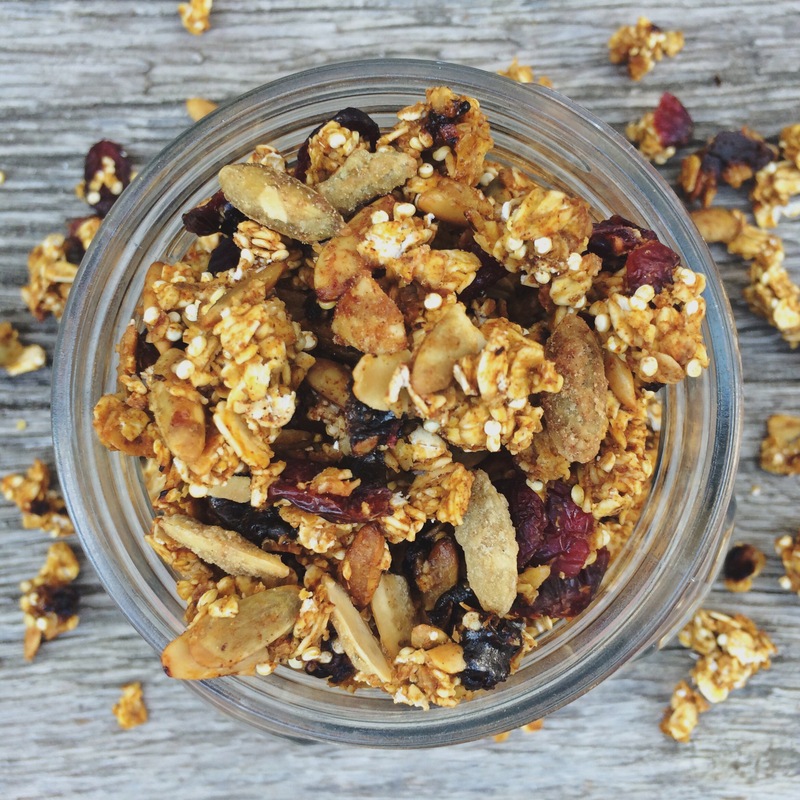 Allow granola to cool , then add your cranberries and carob. 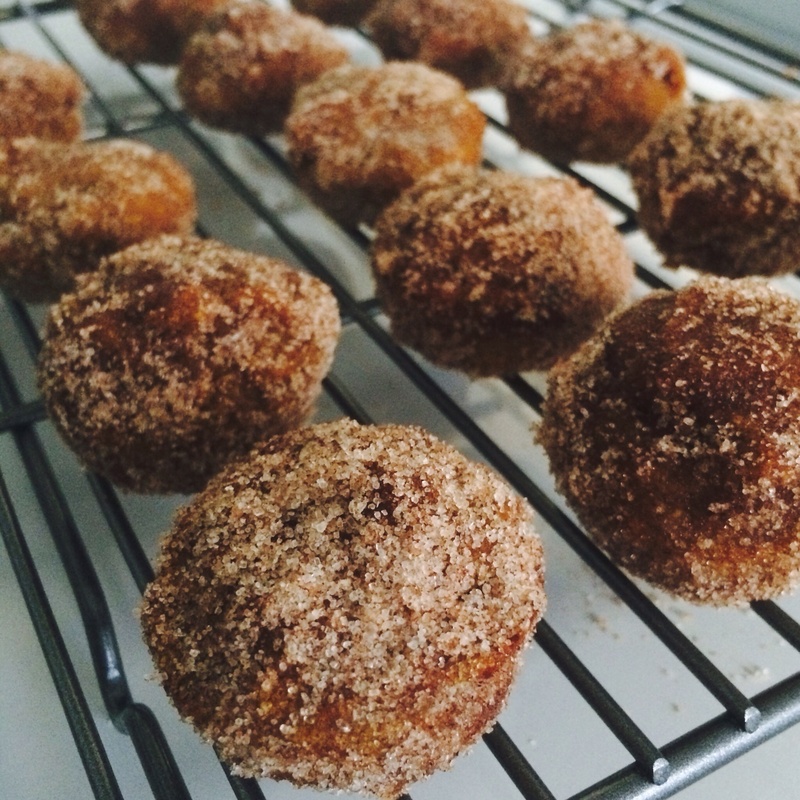 Baked cinnamon & sugar donut holes. A great fall recipe and healthy alternative! preheat oven to 350. Mix together flour, stevia, cinnamon, and baking soda. Add in pumpkin purée and egg whites and be sure to mix well. Grease a mini muffin pan and fill each 3/4 the way up with your batter. Place in oven & cook for 15-20 mins. While those are cooking mix together your cinnamon and sugar topping. Allow donut holes to cool . Take each one and lightly spray butter on it then roll into cinnamon and sugar coving the donut hole. 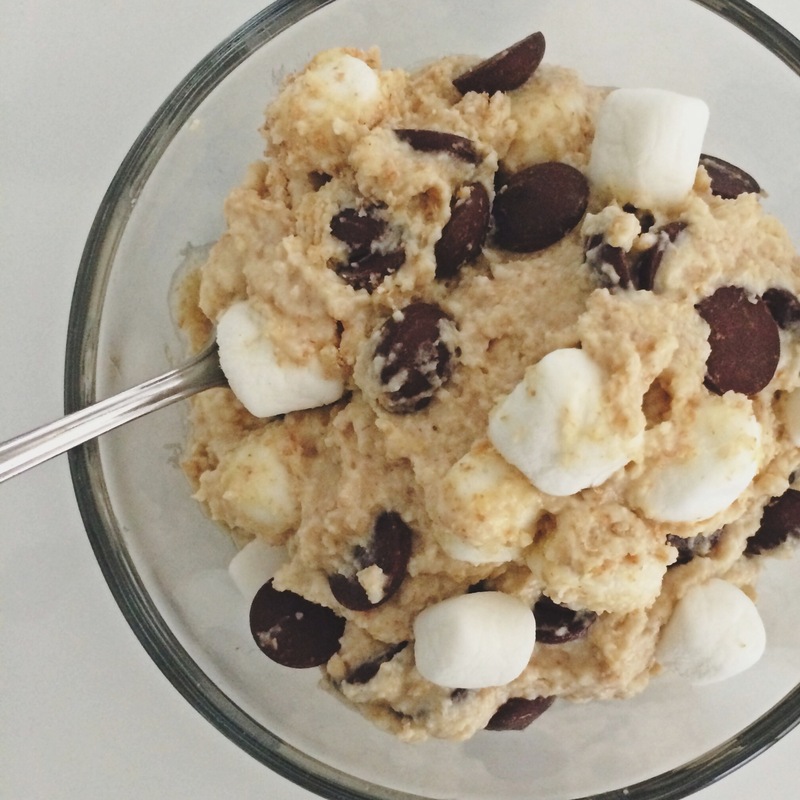 Egg-less cookie dough.. just for eating! 1-2 scoops of vanilla protein powder. Mix dry ingredients together, then add in milk vanilla and butter . Mix well , making sure dough is smooth. once completely mixed, chill & enjoy. 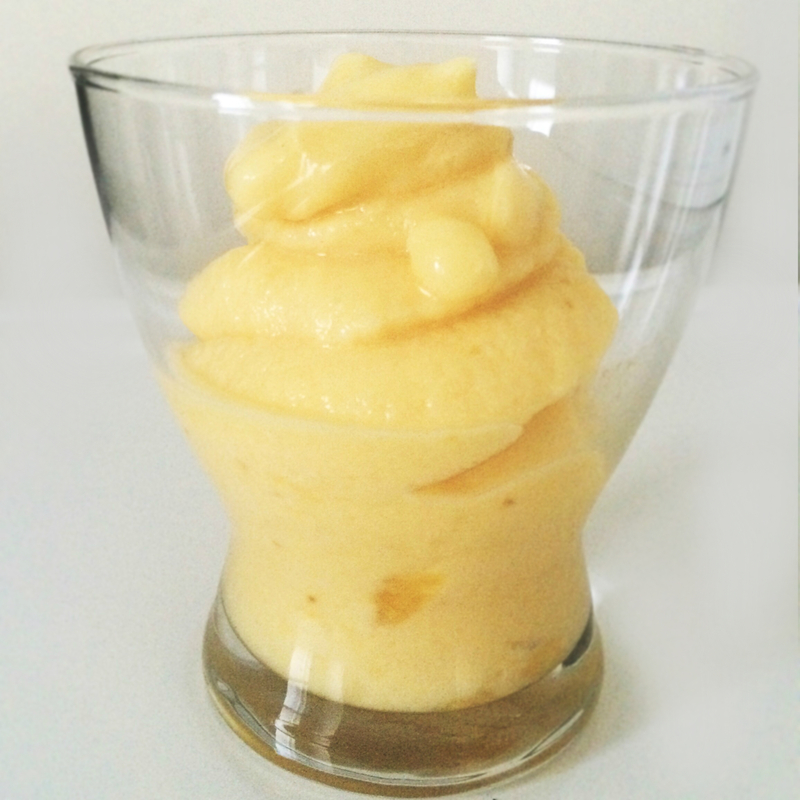 An easy homemade version of “dole whip”. So simple & SO DELICIOUS. Blend all 3 ingredients in blender or food processor & serve. If mixture is too “runny” put in freezer for about an hour and it will thicken up. 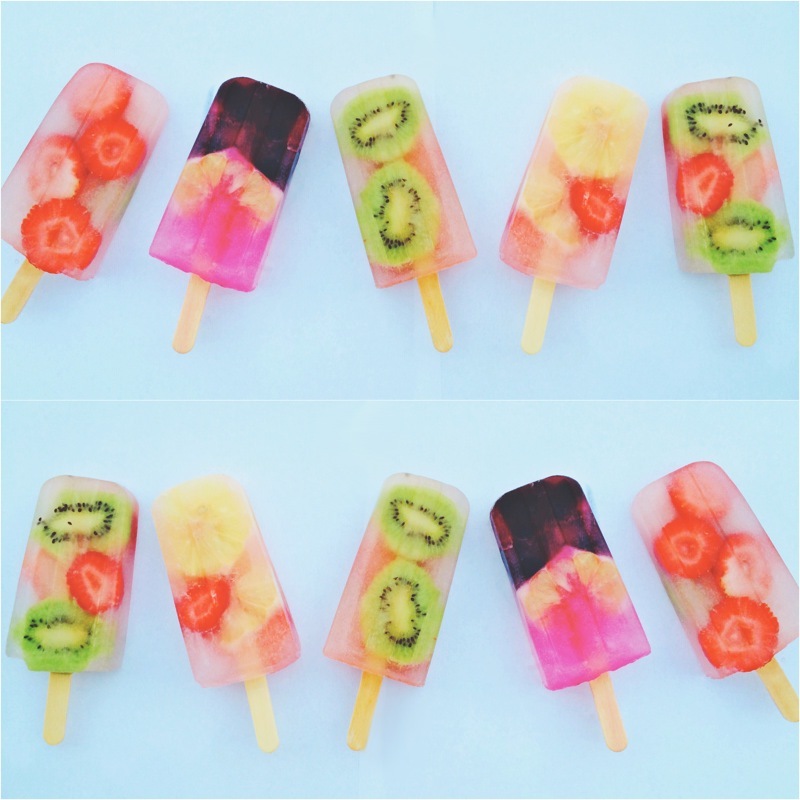 These popsicles are such a great healthy option for a summertime treat! Popsicle molds can be found everywhere this time of year. I purchased mine from Cost Plus World Market. Place fruit in molds,and pour coconut water just below the brim of each mold. Place popsicle sticks in the middle & freeze! SO EASY, and so refreshing for summertime! Preheat the oven to 350. Lightly grease a 8×8 baking dish. 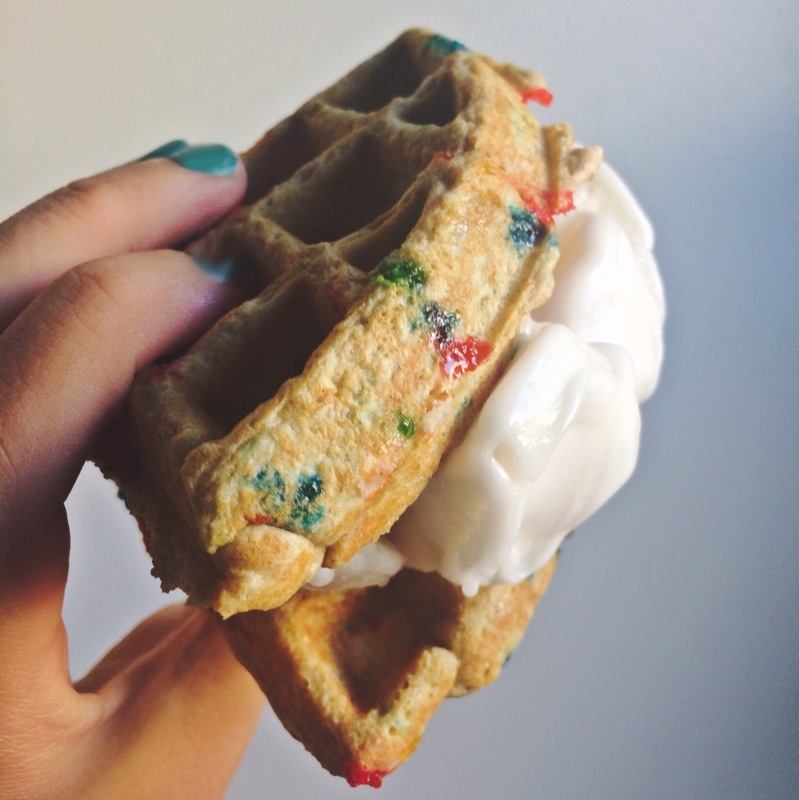 Mix together flours, baking powder, cinnamon, and salt, then add in Vanilla, greek yogurt, and egg whites. Sift in your Truvia, then completely mix batter until smooth. Spread evenly into greased baking dish. 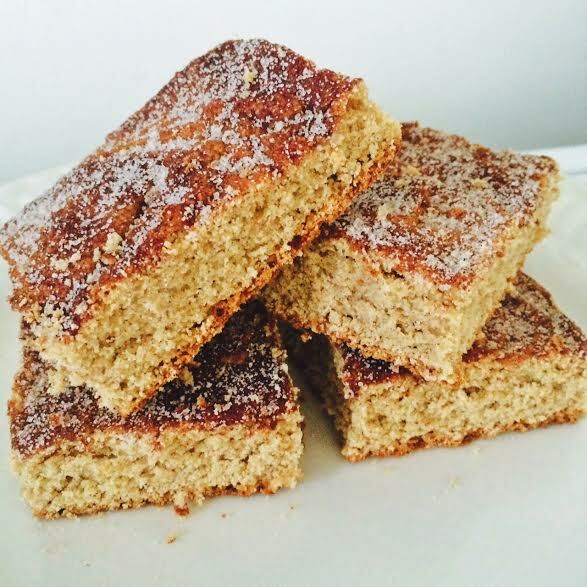 Combine truvia and cinnamon to create your topping. Sprinkle mixture evenly over the top of your batter. Bake for 25-30 mines or until golden brown.